Philadelphia's top elected official took a break this week from overseeing the city government to help the Harlem Globetrotters perform a trick shot at City Hall. Mayor Jim Kenney shared the video on Wednesday as the city's basketball fans were reeling from the news that 76ers center Joel Embiid will not play again this season due to a meniscus tear. Globetrotters Bria "Swish" Young, a West Philly native and Philadelphia University graduate, and Zeus McClurkin joined Kenney to promote the team's swing through the region. 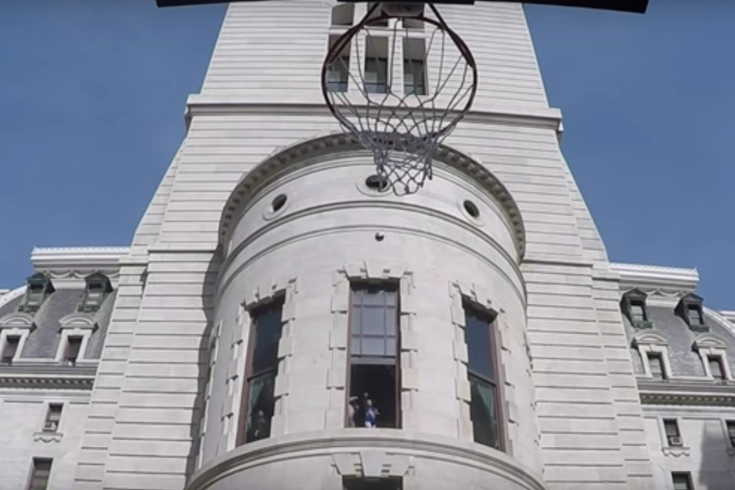 The trio picked out a spot in the City Hall tower high above a basketball net that was set up in the courtyard. "A lot of tricky things have gone on in City Hall and hopefully this shot will be one of them," Kenney said as he passed the ball to Swish. 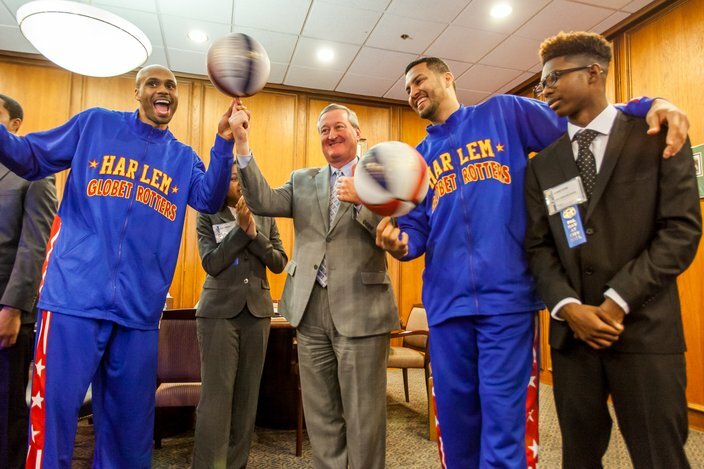 Mayor Jim Kenney spins a basketball with members of the Harlem Globetrotters on Monday, Feb. 27. Obviously, Swish makes the shot and the trio celebrates. Kenney performs some awkward maneuver that can only be described as a cross between the Mummer's strut and high stepping, but he was definitely having fun.